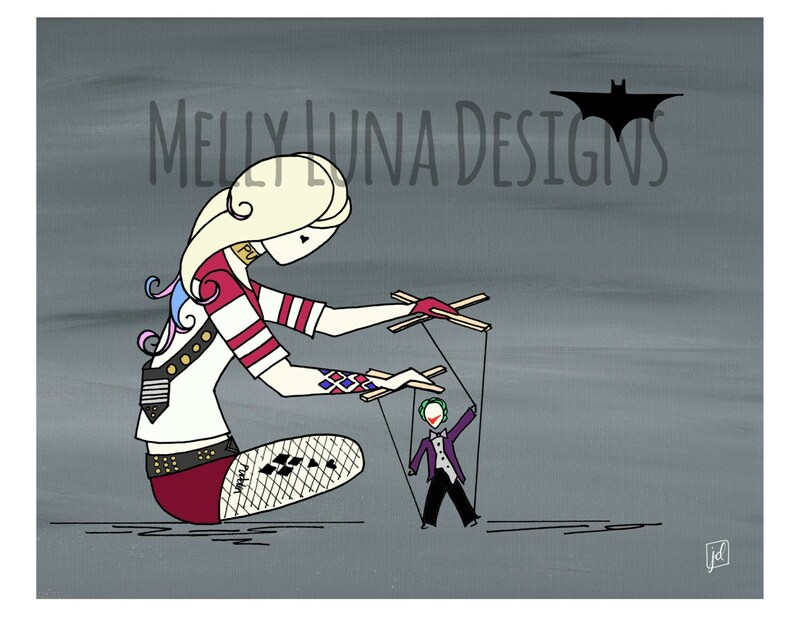 This is a reproduction print featuring Harley Quinn as the Joker's Puppet Master. 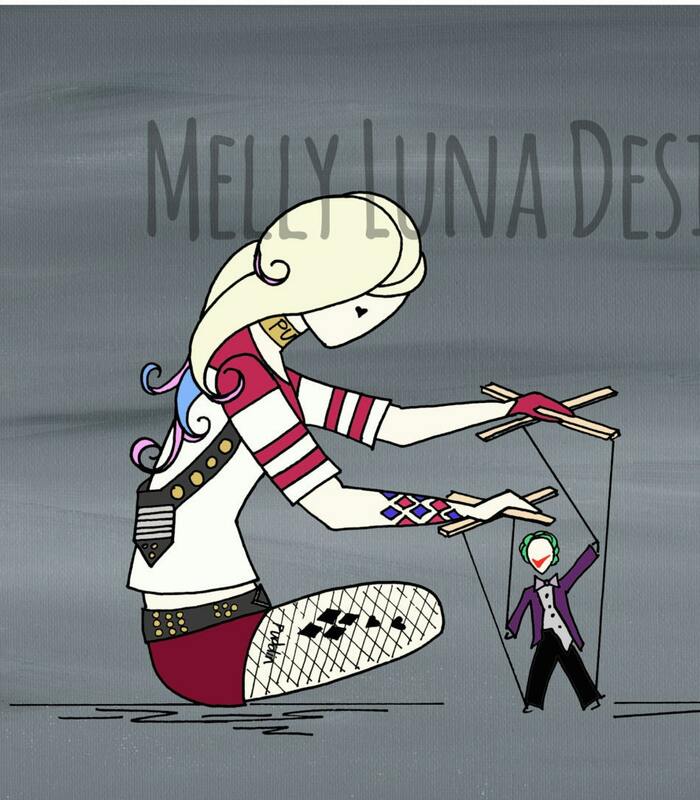 In the back of her mind, Batman is never too far. Perhaps this is a view into her mind. The original art was created with pen and ink techniques and then overlaid on an abstract background. The background was created with acrylic paint on canvas.